Not only does this next one sound like heart warming, family movie filled with adventure but "A portion of first-week sales (thru August 19, 2014) will be donated to the National Park Foundation as part of the Disney Worldwide Conservation Fund to Protect Wildlife and Wild Places. " 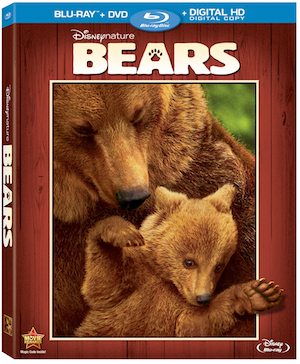 Releasing on Blu-ray™ Combo Pack, Digital HD, Disney Movies Anywhere, and On-Demand, Aug. 12, 2014, Disneynature's Bears will be an epic journey through the Alaskan wilderness. My family is definitely looking forward to another new perspective on the worlds wildlife!